Make new memories, have incredible adventures and follow the path less traveled — it's all possible in Milwaukie. But first, let us give you a few basic facts about your next vacation destination! About 7 miles (11 kilometers) to the southeast of the heart of Portland, Milwaukie is just one of the neighborhoods that make this city so wonderful. Last time they counted, the population of Portland was 600,000. Get significant savings on Travelocity's Milwaukie accommodation and airfare bundles. You'll also have plenty to pick from with no less than 400 partner airlines and 665,000 properties. From accommodations and airfares to experiences and car rentals, we can offer 24/7 personal assistance with our Customer 1st Guarantee. If you happen to chance upon a cheaper deal on another site, we will reimburse the difference^. Adjustments to reservations will never incur any financial penalties from us. And as long as you get in fast, many accommodations won't charge a fee either^. Are you looking for a place to lay your head in Milwaukie? You'll have to look a little further out. Choose from 26 options just a short commute from this pleasant neighborhood. Compare the offers and then choose between the Kimpton Riverplace Hotel (1510 SW Harbor Way) and the Residence Inn by Marriott Portland Downtown/RiverPlace (2115 Sw River Pkwy). They're some of our top recommendations for this area. Where do you fly into for Milwaukie? Ready to begin your next great escape? Well, Milwaukie is approximately 11 miles (18 kilometers) from Portland International Airport (PDX). Can I rent a car in Milwaukie? Planning a road trip during your stay in Milwaukie? A rental car will certainly be helpful here. Browse through your options on Travelocity, make a selection and get ready to zoom off to your next adventure! Picking up a car right at Portland International Airport means that you don't have to bother with cabs and transfers. You'll stumble across Avis just a short walk away. Dollar Rent A Car is another top choice. Is the city your first stop? Budget can be found just 2 miles (3 kilometers) from the heart of town at 5720 Se 82Nd Ave. Another favoured rental outlet located 3 miles (5 kilometers) from the center of the city is Enterprise at 18451 S.E. Mcloughlin. Clackamas Town Center is the place to visit if you're a bit peckish. Follow the mouthwatering aromas to the food court and you'll be tucking into a meal in no time! Want some more close by options? The human body is made of over 50% water. Why not get back to your roots and splash around at North Clackamas Aquatic Park? But that's not all. If you and your travel buddies are looking for somewhere to catch up and regroup, Clackamas Promenade is an ideal option. Chat over some lunch and search the stores for that perfect souvenir. Oak Grove and Concord are well worth visiting while you are here. Oak Grove is about 1 mile (2 kilometers) away, and Concord is 2 miles (3 kilometers) away. 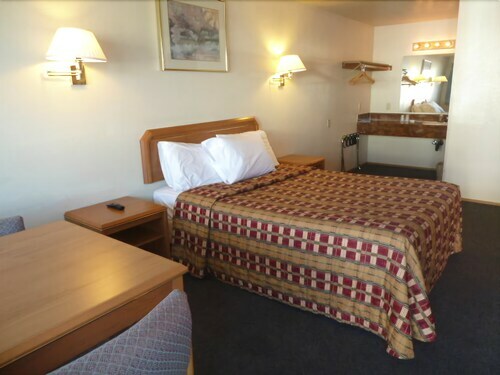 Situated in Milwaukie, this hotel is 1.8 mi (2.9 km) from Providence Milwaukie Hospital and 3 mi (4.8 km) from Sellwood Riverfront Park. Clackamas Town Center and Aladdin Theater are also within 6 mi (10 km). 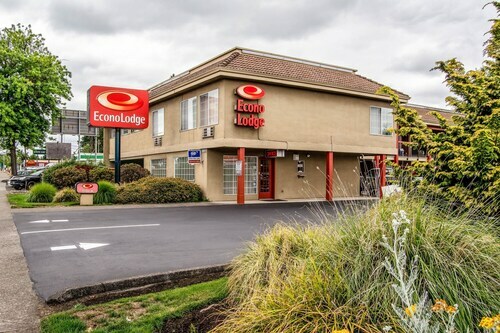 Situated in Milwaukie, this hotel is 2.2 mi (3.5 km) from Oregon City Shopping Center and within 6 mi (10 km) of Clackamas Town Center and Providence Milwaukie Hospital. Aladdin Theater and Oregon Museum of Science and Industry (OMSI) are also within 9 mi (15 km). 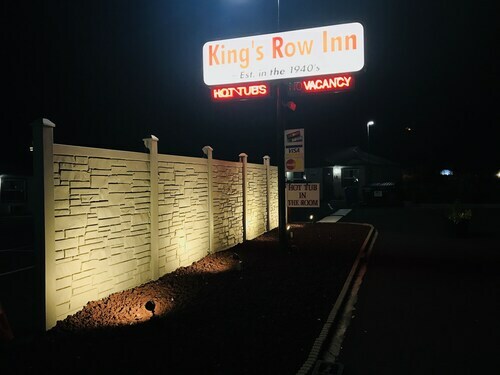 Located in the heart of Milwaukie, this motel is 2.3 mi (3.7 km) from Providence Milwaukie Hospital and within 6 mi (10 km) of Clackamas Town Center and Oregon City Shopping Center. Clackamas Promenade and Sellwood Riverfront Park are also within 6 mi (10 km). 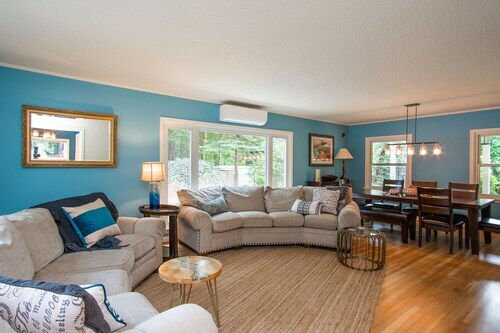 Situated in Milwaukie, this vacation home is within 6 mi (10 km) of Providence Milwaukie Hospital, Clackamas Town Center, and Oregon City Shopping Center. Sellwood Riverfront Park and Crystal Springs Rhododendron Garden are also within 6 mi (10 km). Located in the heart of Milwaukie, this historic cabin is 1.8 mi (3 km) from Providence Milwaukie Hospital and 3.1 mi (5 km) from Clackamas Town Center. Clackamas Promenade and Kaiser Permanente Sunnyside Medical Center are also within 6 mi (10 km). Situated in Milwaukie, this property is 2.8 mi (4.5 km) from Clackamas Town Center and 3.1 mi (4.9 km) from Clackamas Promenade. Providence Milwaukie Hospital and Kaiser Permanente Sunnyside Medical Center are also within 6 mi (10 km). Situated in Milwaukie, this romantic cabin is 1.8 mi (3 km) from Providence Milwaukie Hospital and 2.3 mi (3.8 km) from Clackamas Town Center. Clackamas Promenade is 2.7 mi (4.3 km) away. 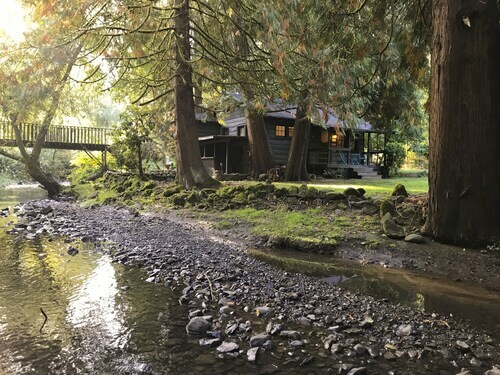 Situated in Milwaukie, this cabin is 2.7 mi (4.4 km) from Providence Milwaukie Hospital and within 6 mi (10 km) of Clackamas Town Center and Sellwood Riverfront Park. Oregon City Shopping Center and Clackamas Promenade are also within 6 mi (10 km).